Homegames workshopGames Workshop Transmission Teaser Video! Games Workshop are being sneaky and alluring as is their trend as of late. Posted on the Warhammer Community website titled “Incoming Transmission: B50-AP/78903//M/h” holds a single teaser trailer from an “unknown source”. See it below! 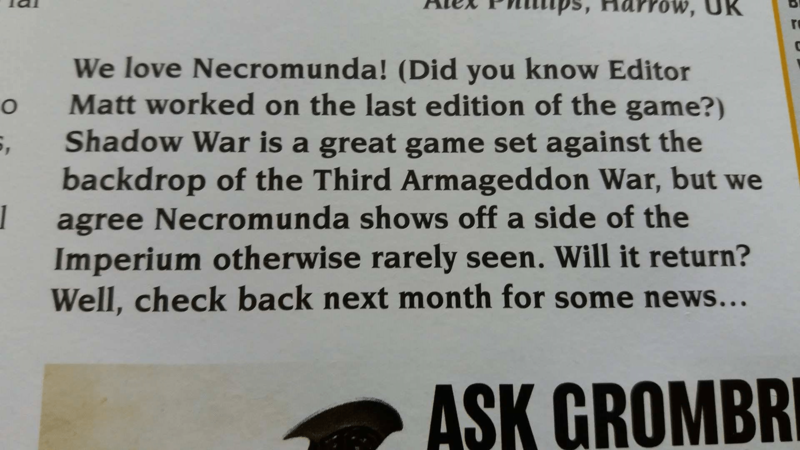 Necromunda? Could it be you, old friend? After the success of Shadow War: Armageddon they’d be mad not to take advantage of the demand that players clearly showed for some good ol’ gang warfare! Stick with us on Facebook for the latest updates, as always!